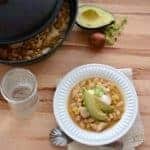 Chicken Enchilada Soup Recipe | Stovetop, Slow Cooker or Instant Pot! 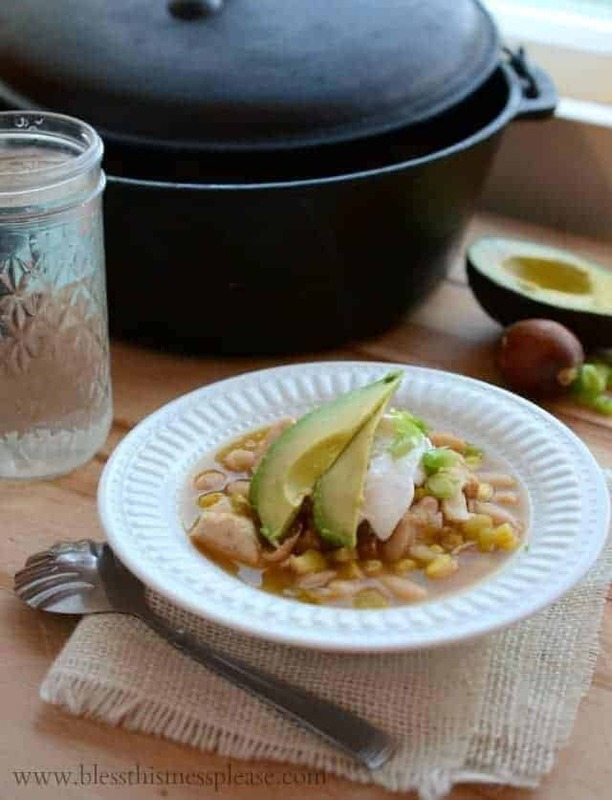 Quick, easy & healthy white chicken enchilada soup recipe. 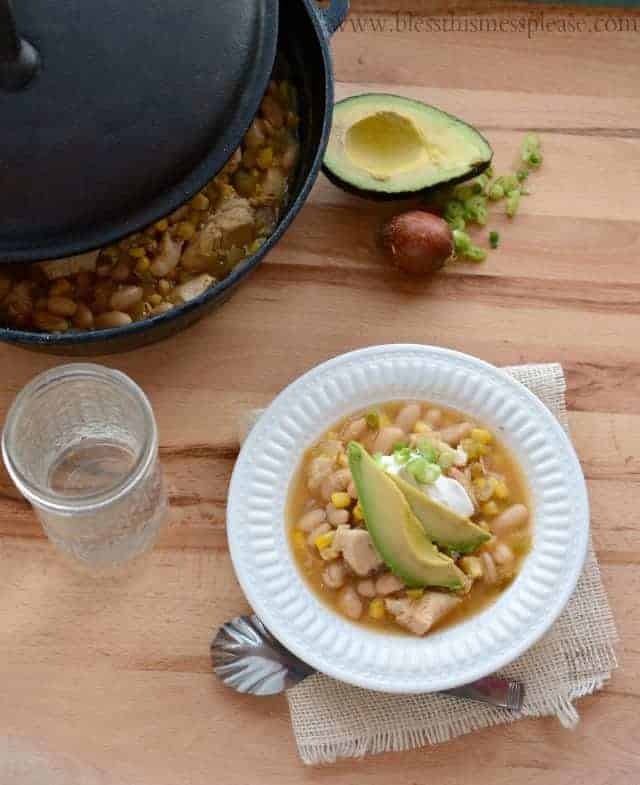 Made with chicken, beans & corn, you can make this delicious soup on the stove top, in the slow cooker or in your Instant Pot! The recipe I’m sharing today is a quick, easy, and healthy white chicken enchilada soup. What I love about this soup is that you throw everything in a pan and just bake it. Yes, a baked soup! There’s no need to stand over a stove stirring when the oven can do all the work for you. Just be sure to use an oven-safe pan! This recipe was a big hit with the family and came together in a flash. I know you are going to love it. I love this recipe, too, because it’s kind of a dump-and-go kind of recipe where you have most of the ingredients on the shelf and they are ready to use when you want to make them. Canned beans, broth, chicken, and chicken broth are easy for me to keep on hand and come together in so many different ways to make a great meal. This soup is awesome with a side of my favorite cornbread or with your favorite topping such as sliced green onion, fresh avocado, sour cream, or hot sauce. Adding a few fresh ingredients to the top really makes this a refreshing soup. This soup is a great candidate for the slow cooker! Throw everything in and cook on high for 4-6 hours or until the chicken is cooked through. You can substitute 2 cans of corn for frozen corn. This soup freezes really well for those busy weekday nights. Feel free to use any kind of beans that you like or have on hand. How long should I cook soup in an Instant Pot? You can throw all of the ingredients in the Instant Pot and cook on high pressure for 6 minutes in the instant pot. You can do a quick pressure release or let it sit in the pot and do a natural pressure release, both work great. Just remove the chicken from the pot once cooked and chop it up, add it back to the soup, and adjust your seasonings to taste before serving. How long can I freeze soup? Freeze soup in a covered air-tight container or heavy-duty freezer bag. Properly stored, it will maintain best quality for about 4-6 months. Just thaw overnight in the fridge and reheat before serving. 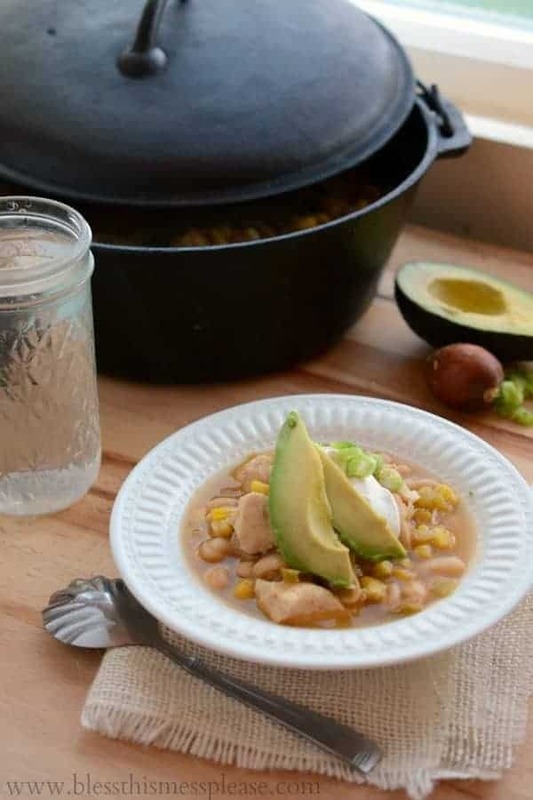 Quick, easy & healthy white chicken enchilada soup recipe. 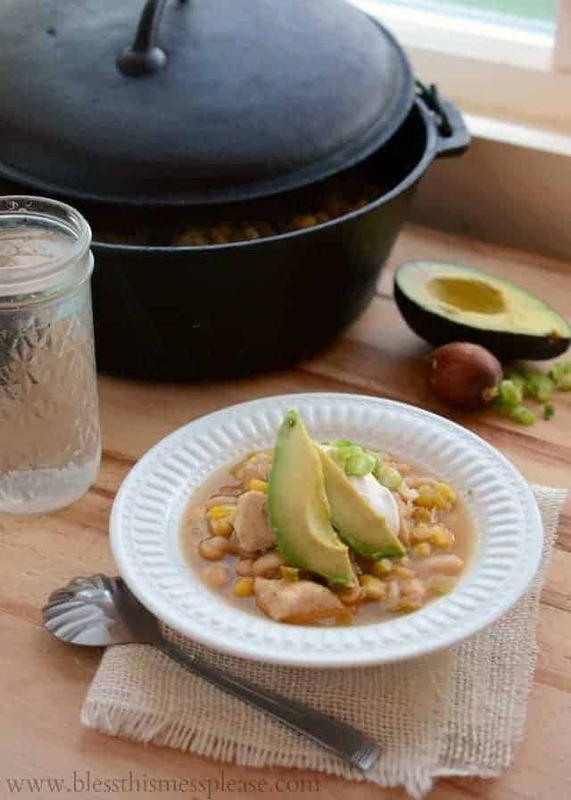 Made with chicken, beans & corn, you can make it on the stove top, slow cooker or your Instant Pot! In a medium-sized, oven-safe pot or dutch oven with lid, add all but the optional ingredients and stir to combine. Place the lid on the dutch oven or pot and bake for 1 hour at 325 degrees or until the chicken is cooked through. Serve hot with optional ingredients. You can throw all of the ingredients in the Instant Pot and cook on high pressure for 6 minutes in the instant pot. You can do a quick pressure release or let it sit in the pot and do a natural pressure release – both work great. Just remove the chicken from the pot once cooked, chop it up, add it back to the soup, and adjust your seasonings to taste before serving. I know this simple white chicken enchilada soup will be a hit with your family. Enjoy from my kitchen to yours. 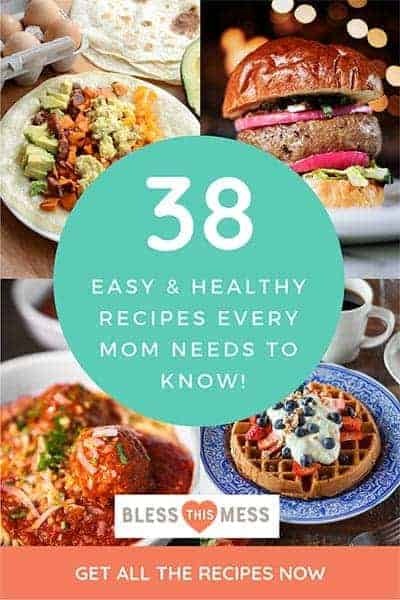 This recipe was first published in January 2014 and has been updated and republished in January 2019. Awww…thanks for the kind words Melissa! 🙂 But I have to say…baked soup….BRILLIANT! Why have I never thought of this. Thanks for inspiring me and for a delicious recipe. Ok, Melissa. You may have had me at the word “enchilada” and soup is just so high on my comfort food list right now so this is just a “win win”. But then you threw in the avocado?? I die. 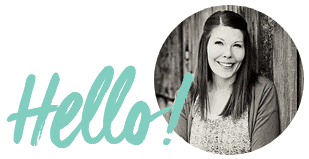 Pinning and so happy to be a part of this awesome series with you! YUM! I love enchiladas, so I’m sure turning them into a soup is just as amazing! I cannot believe this is made in the oven! Genius, I tell ya. Trying this one for dinner tomorrow 🙂 I’m going to try it with our leftover grilled chicken! This looks so delicious! I love how easy it is, thanks for sharing your recipe! Gosh, I wish the white chicken chili I made the other day looked 1/2 as good as your soup! This says comfort all the way! We just got us a little dutch and this was the first recipe we made. It was so easy and so Yummy! Loved the recipe and the whole idea! Thanks Melissa!